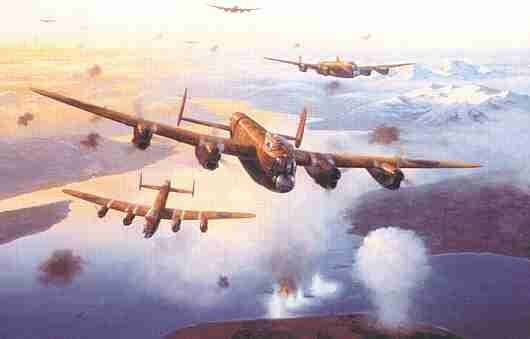 L/E 350 prints signed and numbered by the artist and two bomb aimers who took part, Dennis Nolan (9 Sqd) and Dennis Oldman (617 Sqd). US $115. Artists proofs with remarques, $225.